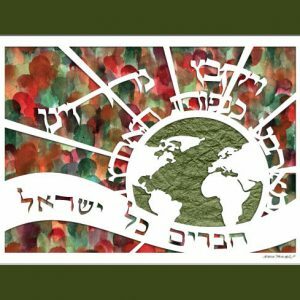 Categories: For Parents and Grandparents, Gifts for the Jewish Home, Great Gifts for the Holidays!, Jewish Wedding Gifts. 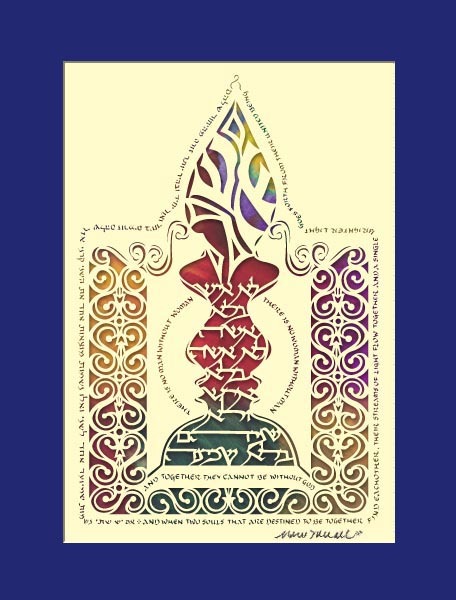 Tags: Ish Ve'Isha Art, Jewish gift, Judaica, Man Woman Papercut, Wedding Gift. The verse in the candle, whose explanation appears in the profiles on either side and below, is from Breisheet Rabbah (Midrash). 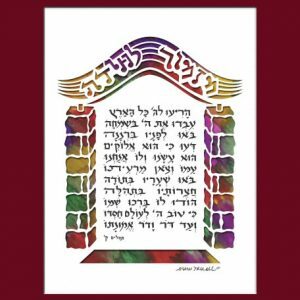 The Hebrew and English passage inscribed along the outer edge is taken from the Zohar. 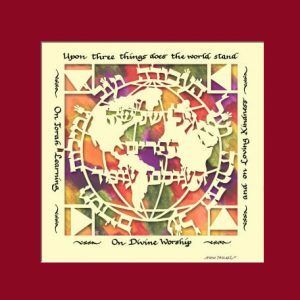 This is a beautiful wedding gift or a Jewish wedding anniversary blessing gift. 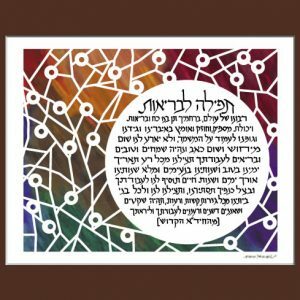 Show your spouse you love him or her with Hebrew papercuts, or offer the young couple their first, stunning piece of art with papercut Judaica.